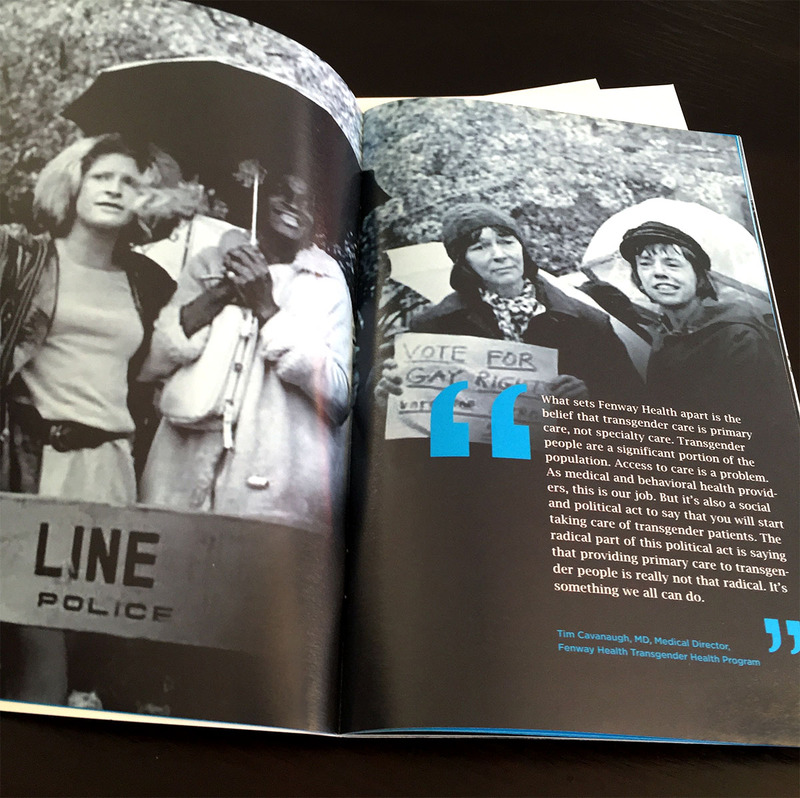 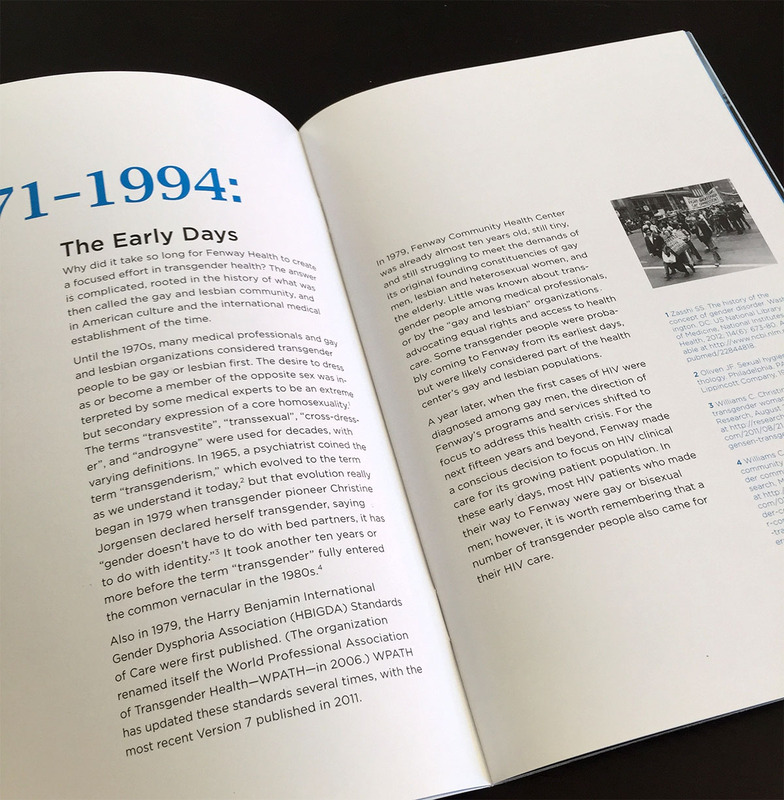 Booklet chronicling the history of the Transgender Health Program at Fenway Health. 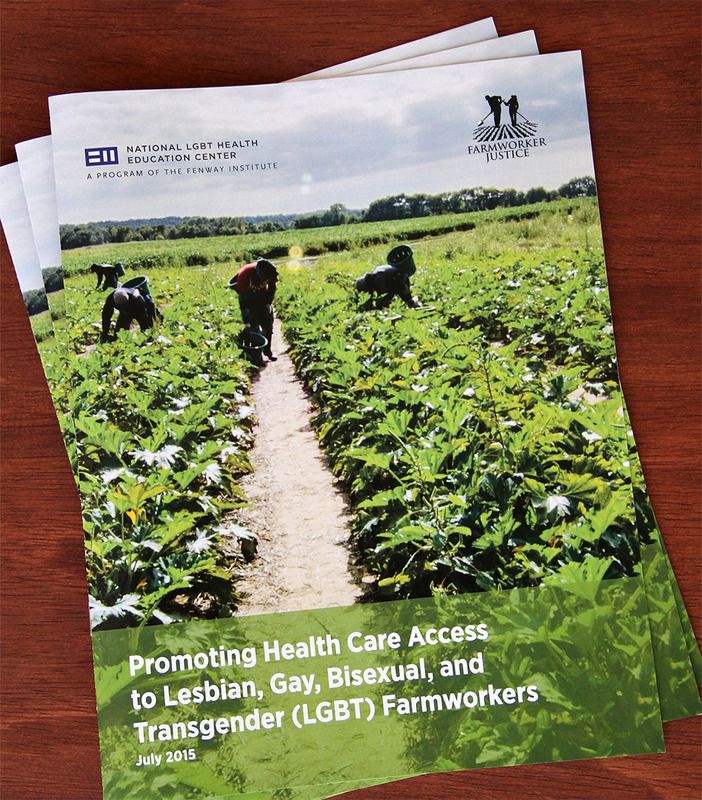 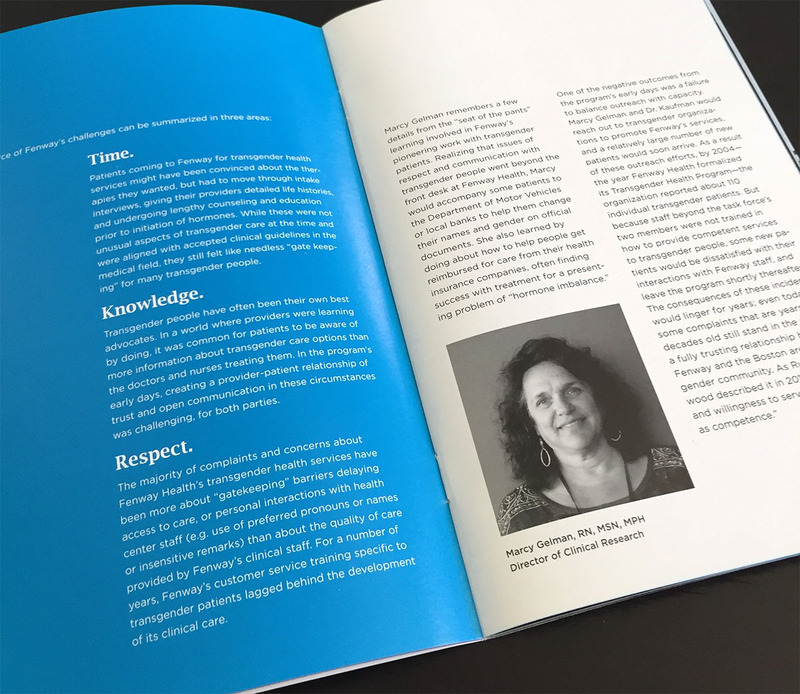 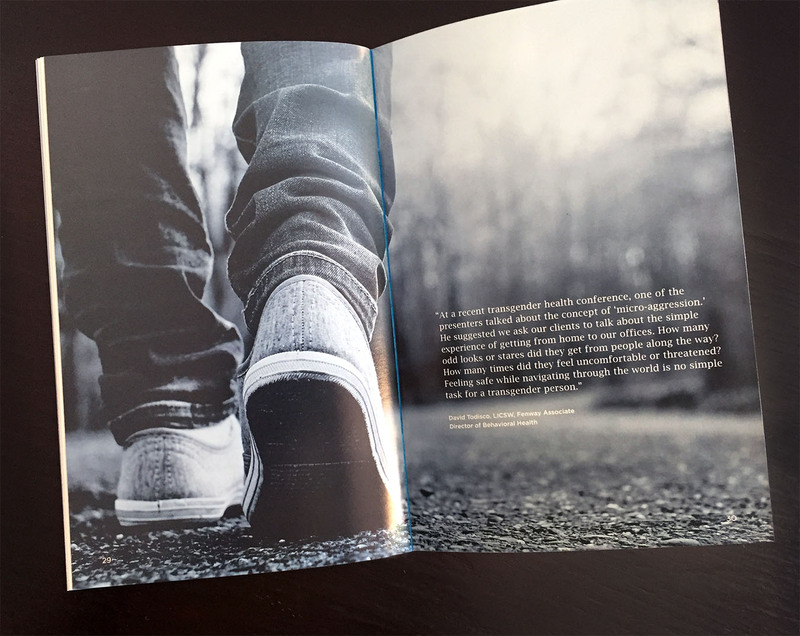 This booklet was designed for the launch of the first Advancing Excellence in Transgender Health conference developed and hosted by Fenway Health. 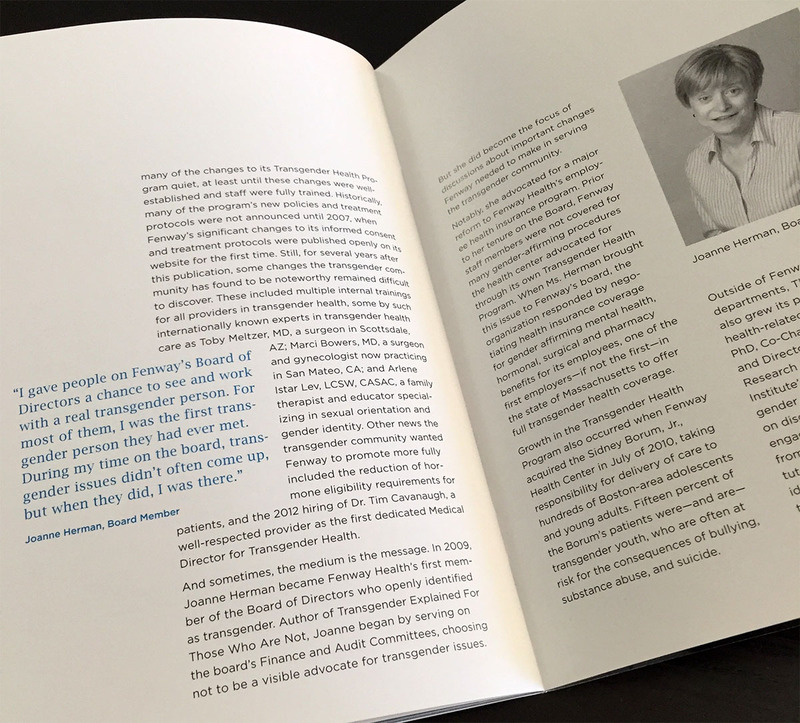 In addition to being available at the conference, it was also distributed to funders and current and prospective donors.